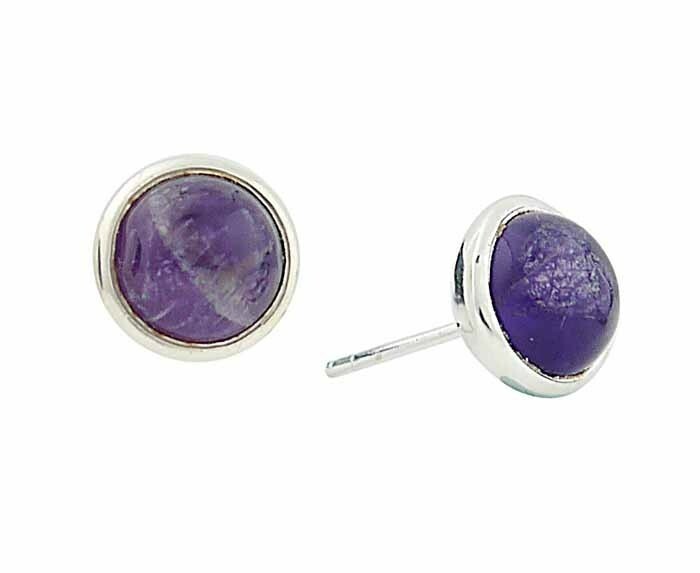 Discover the alluring beauty of Amethyst with these simple stud earrings. 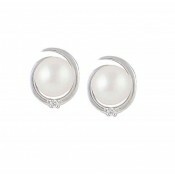 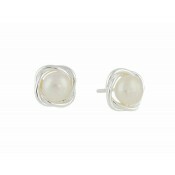 Each of these small earrings features a rounded gemstone that protrudes from its sterling silver halo. 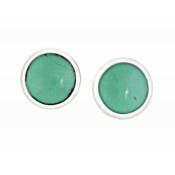 With a polished base, they sit gently on the earlobes for all-day wear with a feminine charm that will bring an instant smile to your face.